Fujitsu Limited and Fujitsu Frontech Limited today announced that cumulative sales of the Fujitsu Biometric Authentication PalmSecure palm vein authentication sensor series, manufactured and sold by the two companies, has now broken through the one million unit mark. About 73 million people in approximately 60 countries around the world interact with this technology daily as a security measure for a broad range of personal authentication tasks, including for ATMs, PC logins, and room entry management. Palm vein authentication is a biometric verification method that can accurately and instantaneously confirm an individual's identity by reading vein patterns in the palm of the hand without direct contact. This technology was first developed by Fujitsu Laboratories Ltd. in 2003, with Fujitsu and Fujitsu Frontech initiating sales in 2004. Since then, Fujitsu has refined the technology in a number of ways, improving the speed and accuracy of the sensor's authentication and reducing the size of the sensor. Fujitsu Group will continue to offer the palm vein authentication sensor, which simultaneously delivers advanced security and convenience, as well as various related solutions and services going forward. PalmSecure differentiates and authenticates individuals by their vein patterns, which differ for each individual. The technology takes advantage of a unique characteristic of hemoglobin-its absorption of infrared light and black appearance in infrared imaging-as it returns to the lungs through veins beneath the skin in the palm. Unlike other biometric authentication methods that use information on the outside of the body, this technology makes use of biometric data from inside the body, offering protection from falsification or spoofing. Fujitsu's PalmSecure technology also delivers high authentication accuracy, with a less than 0.01% chance of rejection error (with one retry), and a less than 0.00001% chance of accepting the wrong person(1) . 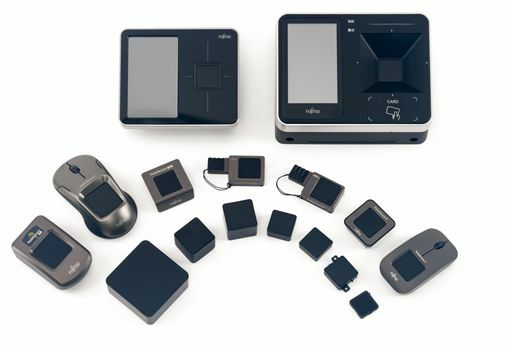 In the case of the Fujitsu Biometric Authentication PalmSecure-F Pro, Fujitsu Biometric Authentication PalmSecure-F Pro Embedded, and Fujitsu Biometric Authentication PalmSecure-F Light palm vein authentication sensors.